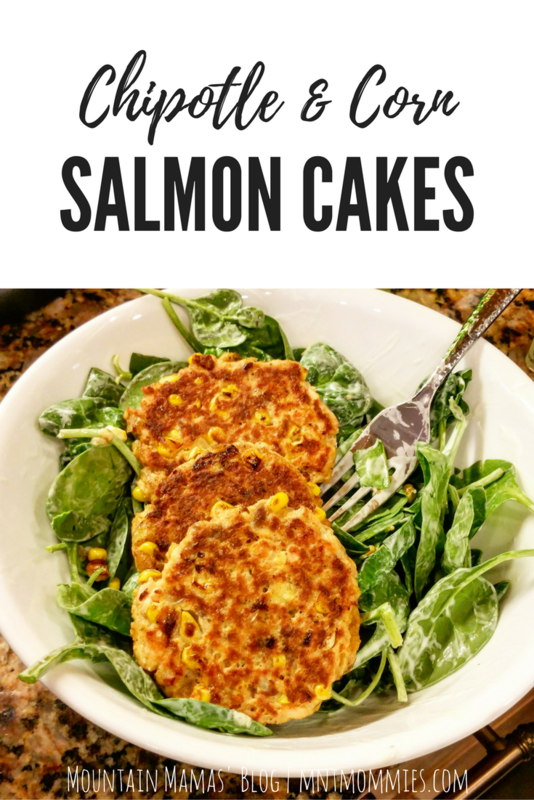 So, I know I said I was going to be doing all apple recipes this month but I made these delicious salmon cakes the other day and posted pictures of them all over social media. I had a bunch of people ask me for the recipe. Hence this post taking place of this weeks apple post. Maybe I’ll double up on apple posts next week! Salmon cakes are delicious for breakfast, just in case you were wondering. One of the things I love about this recipe is that you can use canned salmon or fresh salmon. 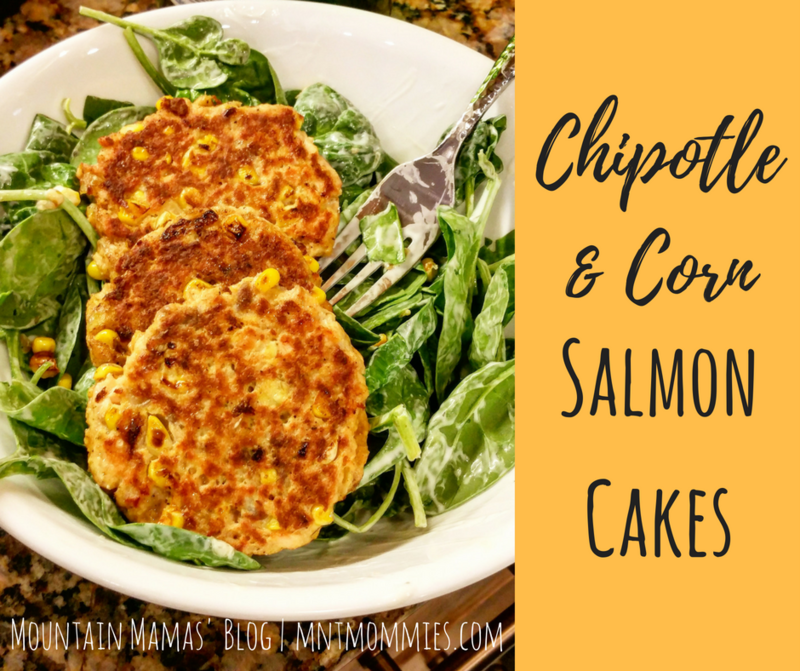 Salmon cakes (or fish cakes of any kind) are one of my favorite ways to use up any leftover salmon. Just flake it all apart with a fork and use it in the recipe. I get my canned salmon and most of my spices from Thrive Market. It is like an online Costco for healthy foods. In a small pan with a little but of olive oil, butter, or ghee add in the onion. Saute until softened and add in corn and garlic. Cook for 5 minutes and then turn up heat and allow the corn to caramelize some. Add the corn mixture into a bowl along with the salmon, lime zest, cumin, paprika, chipotle powder, and salt. Stir to combine then add the eggs, flour, and lime juice to the bowl and stir again. Form patties and place onto large skillet/griddle and cook 3-4 minutes per side.